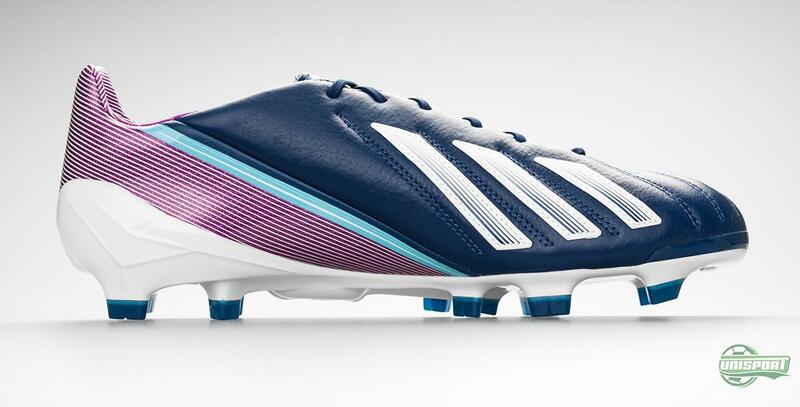 Adidas have unveiled a new colourway for their speed boot F50 Adizero, which Bastian Schweinsteiger recently showed off on the new social media Vine. Now we are ready with even more info and gorgeous pictures of the Germans latest wonder. 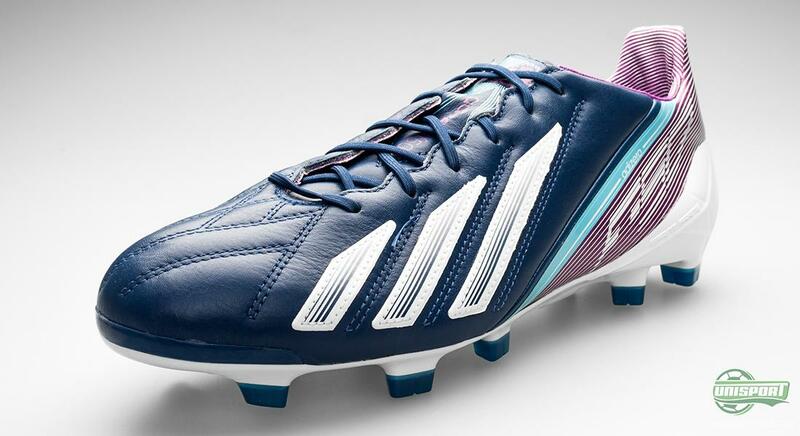 We present: Adidas F50 Adizero Blue/Purple/White Leather. 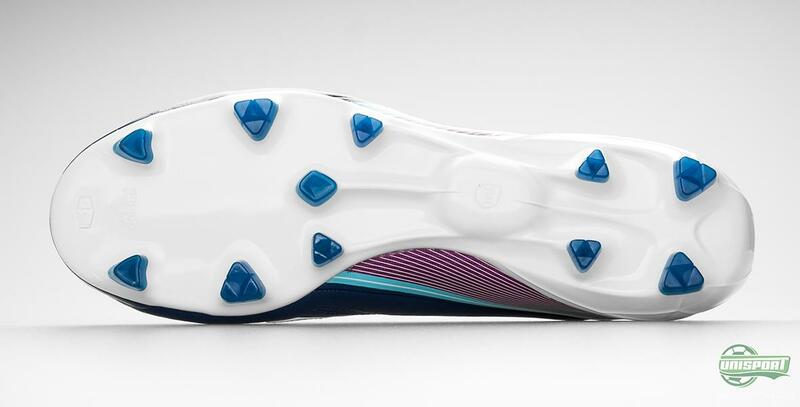 Adidas F50 Adizero has made it to the fourth generation and since the German boot specialists launched the first of its kind back in 2010, it has revolutionised the lightweight boot market. Never before had a boot this light been produced on a grand scale and it was even available in an equally accessible leather version, which was only marginally heavier. 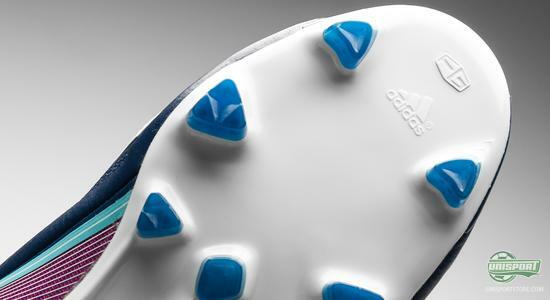 This is still the case and now we will take a closer look at the leather version of the ultralight speed boot. The first generation of Adidas F50 Adizero leather weighed an impressive 175 grams, but in time it has gotten marginally heavier. Now it weighs in at 201g, but this is because Adidas have prioritised using a little more leather on the boot, which gives much improved comfort and a better touch on the ball. 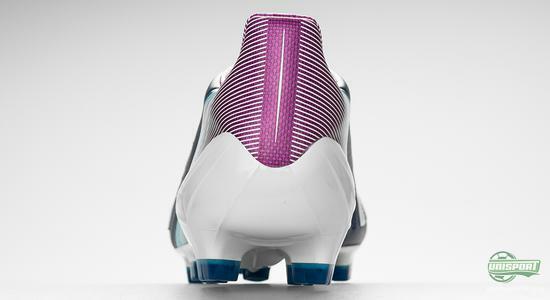 This decision is something our WebTV host Jakob concurs with, when reviewing the boot, which you can watch just above. It is very impressive that they can combine levels of comfort with a weight as low as this. The main reason behind this wonderful combination of comfort and weight, is the leather that reaps plenty of praise from Jakob. 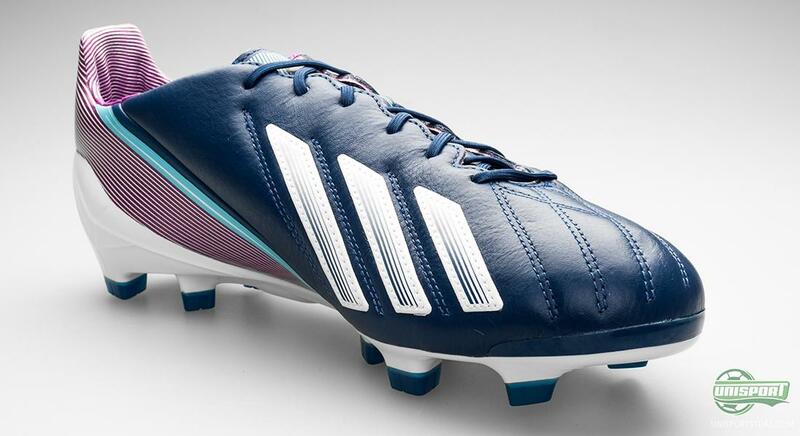 It is Adidas' awesome Goleo-leather which, compared to its predecessor, covers a much larger area of the boot. It wraps itself deliciously around your foot and already from the first kick, you feel the quality. 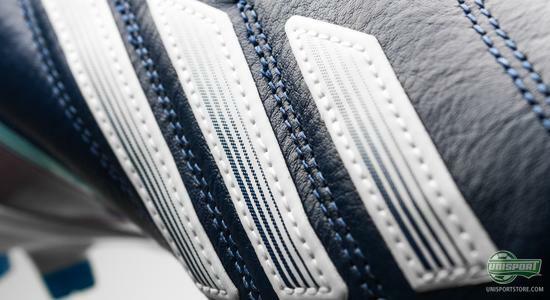 Adidas have been just as successful in tanning the leather, as they were in choosing it and it delivers a tight, natural ball-feel. 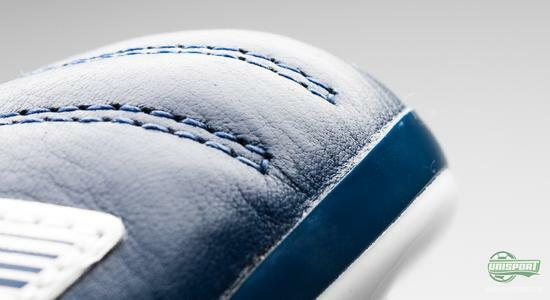 The leather has been worked as thin as possible, but you still get the nice, cushioned feeling, when controlling the ball. 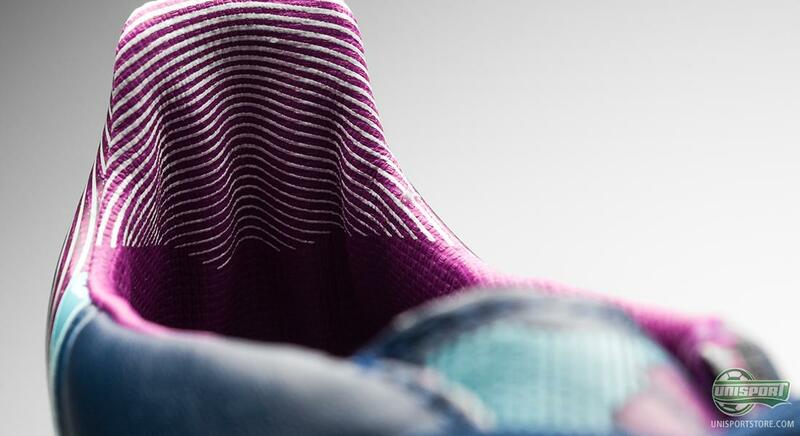 Adidas boast a prolific line-up of professionals, who all prefer their F50 Adizero, but the star who outshines them all is FC Barcelonas Lionel Messi. This is why you can't help shake the feeling, that Barcelonas home-shirt has had an influence on the design, as it is sure to look very sharp with the Catalans home kit. Formerly mentioned Messi is one of the many athletes, who prefers the leather version over the synthetic microfibre and the choice seems to have split the professionals. Among the stars who prefer the Adidas F50 Adizero leather are David Villa, Ashley Young and Demba Ba, but some players like Gareth Bale, would rather use the lighter synthetic microfibre. By reading the text on the inlay sole of the Adidas F50 Adizero leather, it is quickly apparent that comfort has been an important factor during production. Unlike the synthetic microfibre model, you only get one inlay sole and that is the portrayed comfort sole. The stud-configuration is one we are starting to know well. The Traxion 2.0 bases itself on triangular studs, which have almost become a trademark for Adidas' boots. They give an excellent grip in the pitch, but also when you need to deaccelerate, they do their job to perfection. 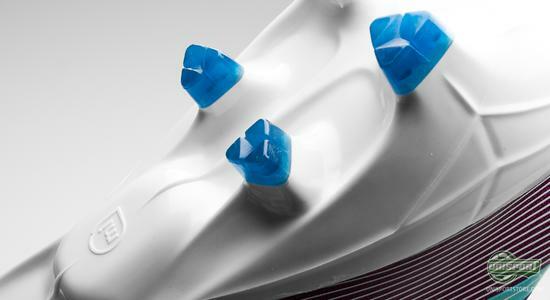 The studs have been angled and placed strategically, so they each serve a specific purpose, whether it is accelerating, breaking, or facilitating sharp turns. 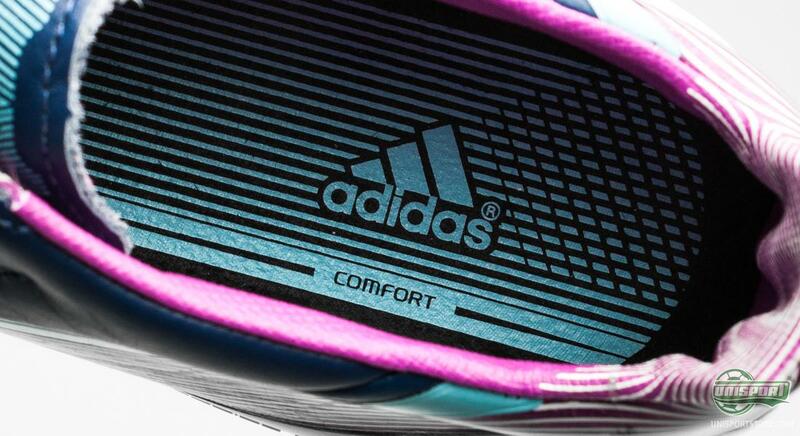 The studs are all fitted on Adidas' Sprintframe, which in itself is rather revolutionising. It is super light, but still incredibly flexible and stable. This is especially impressive when you consider, that it, in some places, is just 1 millimetre thick. 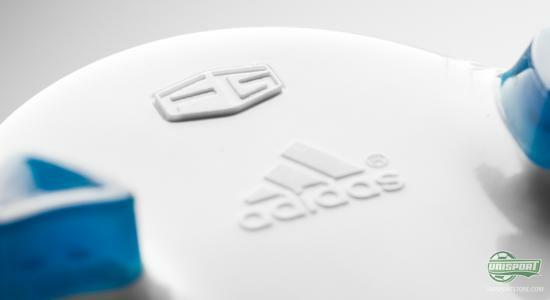 At the same time there has been made room for 'the boots brain', the MiCoach. Adidas F50 Adizero is compatible with the little chip, which makes it possible to track your data from a game or training, such as top speed, distance and number of sprints etcetera. 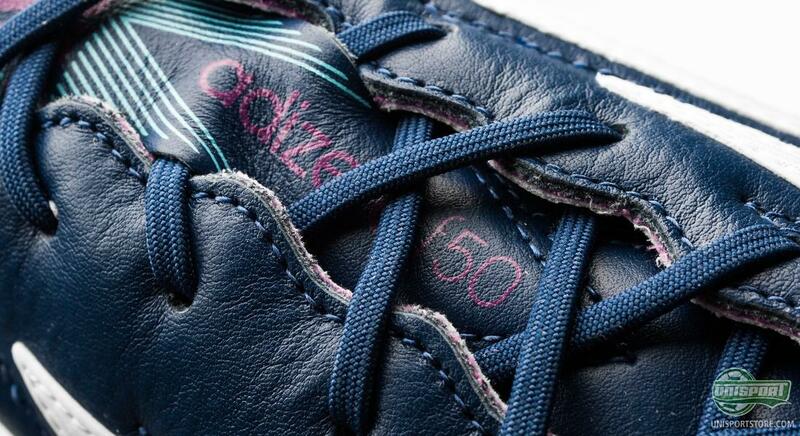 Adidas F50 Adizero Leather Blue/Purple/White will be out just in time for Champions League and the colour combinations remind us a lot of the ones used on this years final ball. 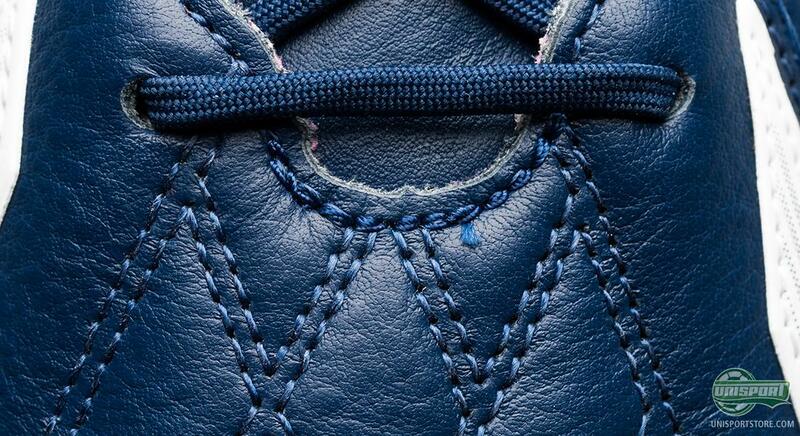 What do you say to the new colourway? Have Adidas hit the nail right on the head? Feel free to share your thoughts and opinions in the comment-section down below.